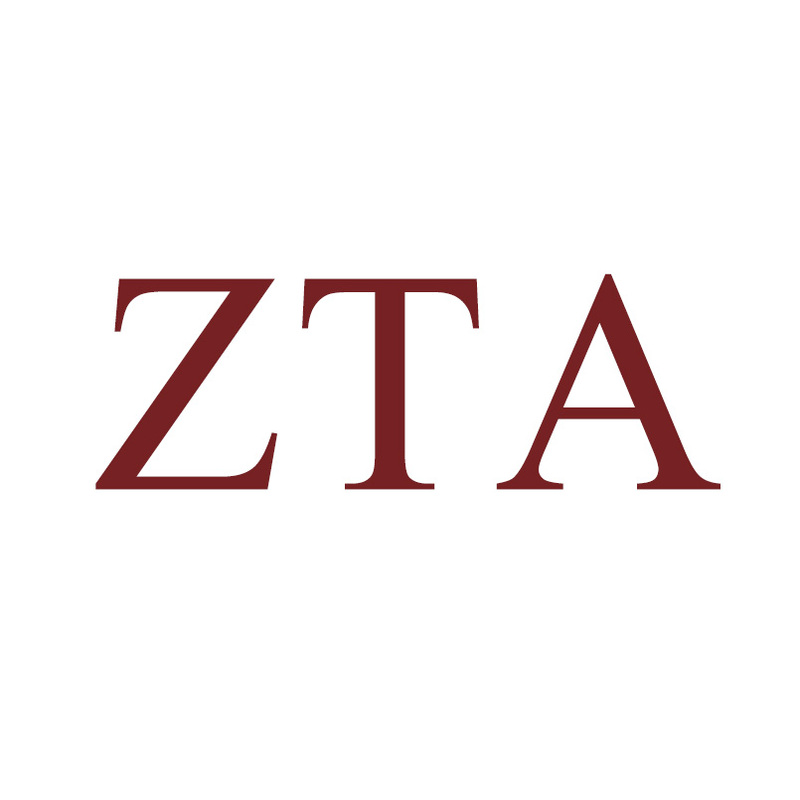 Call today about our Greek Week Plans! 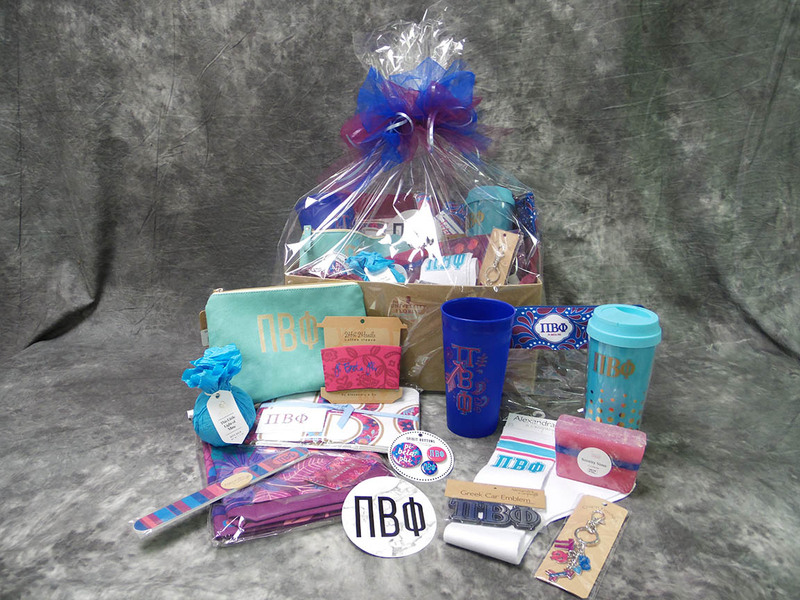 Young ladies will receive a care package, gift, or flowers every day of Recruitment Week. 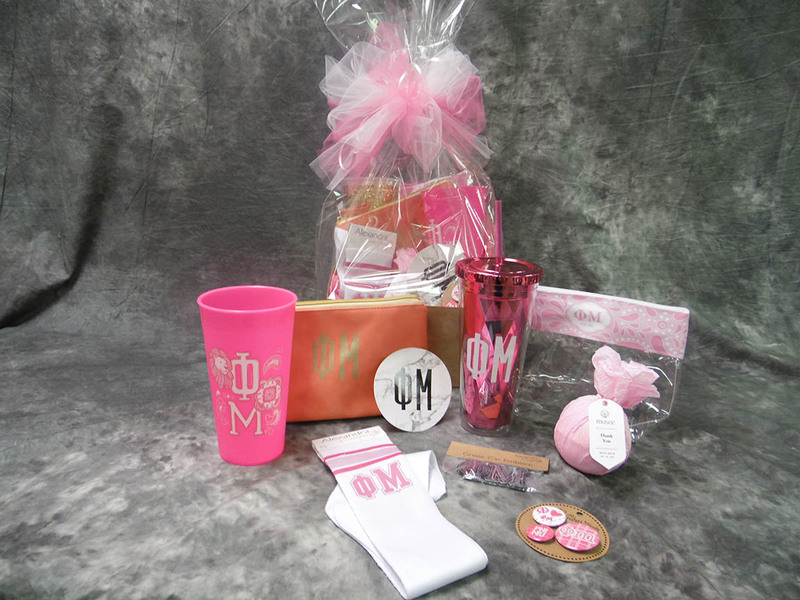 Personalize your gifts and delivery today! 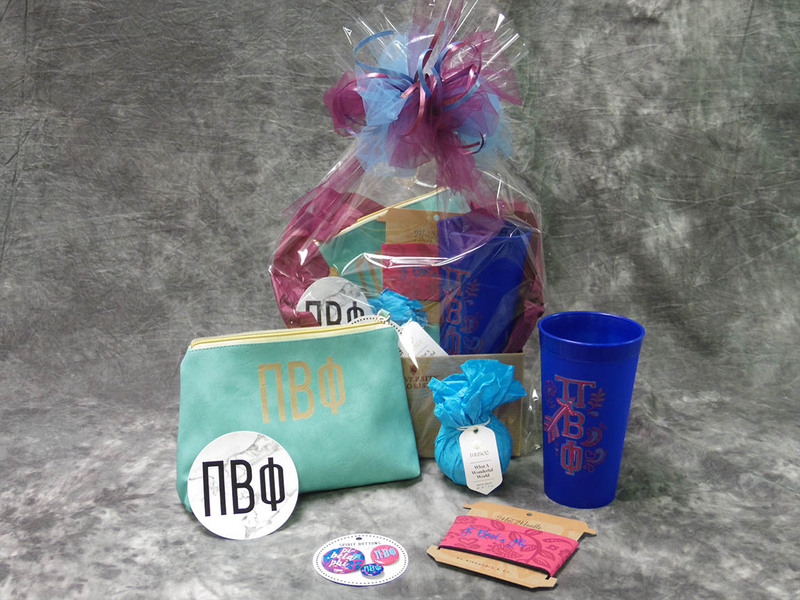 PreOrder now for Bid Day Baskets and Flowers - we receive the Bid List and customize on Bid Day! 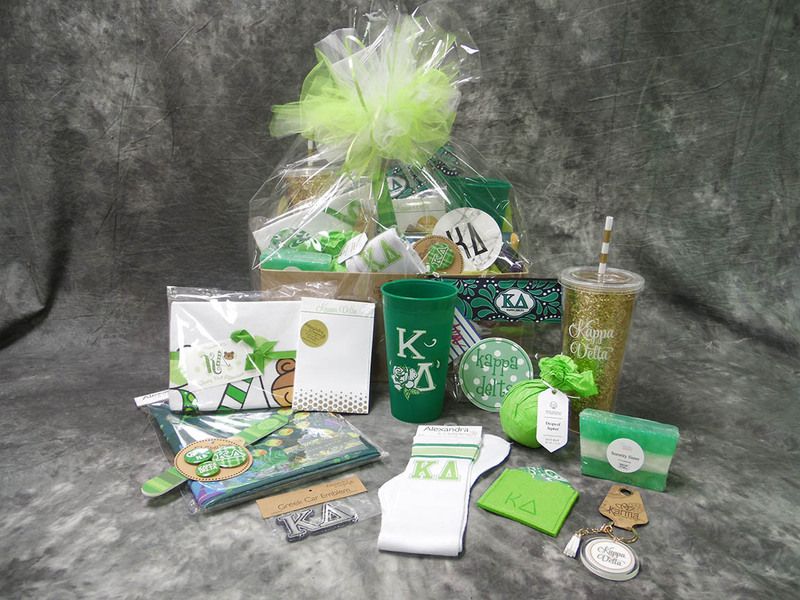 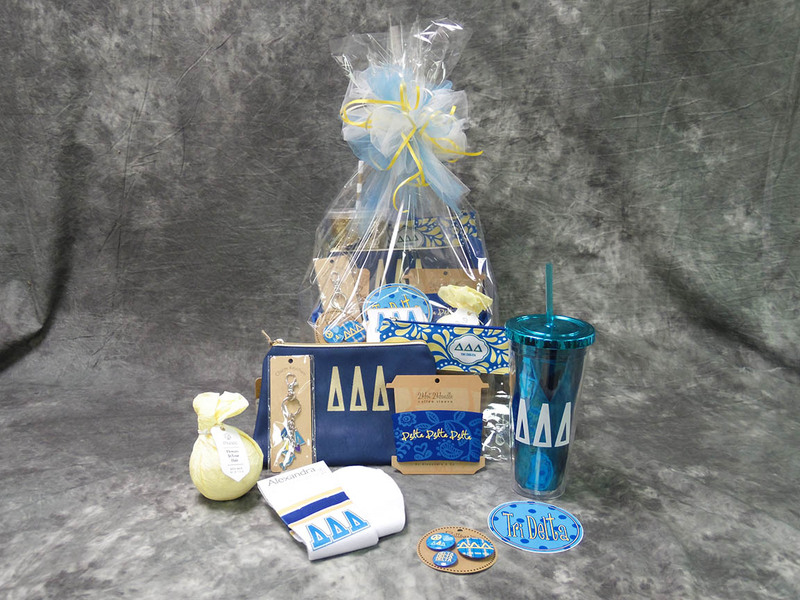 Make sure to congratulate your new recruit with a bid day arrangement or gift basket! 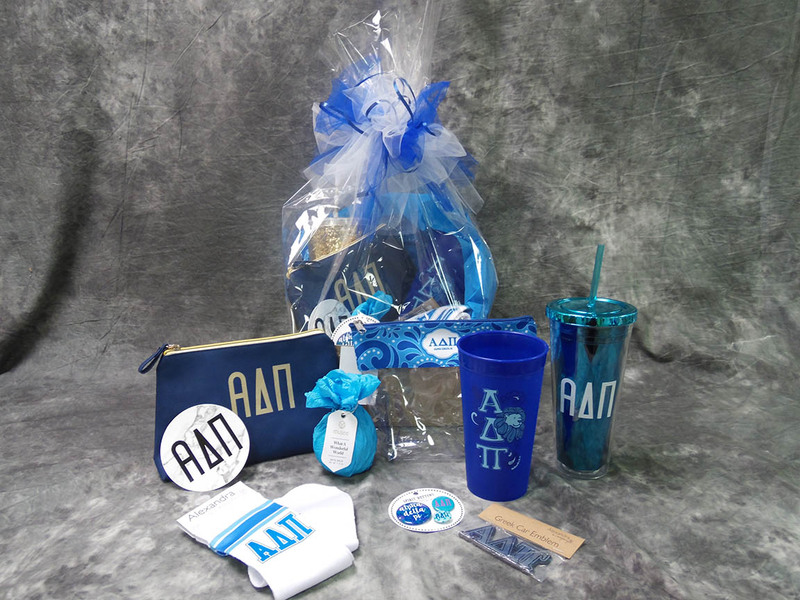 And don’t forget your current sisters and advisors who have been working hard to make Bid Day a success! 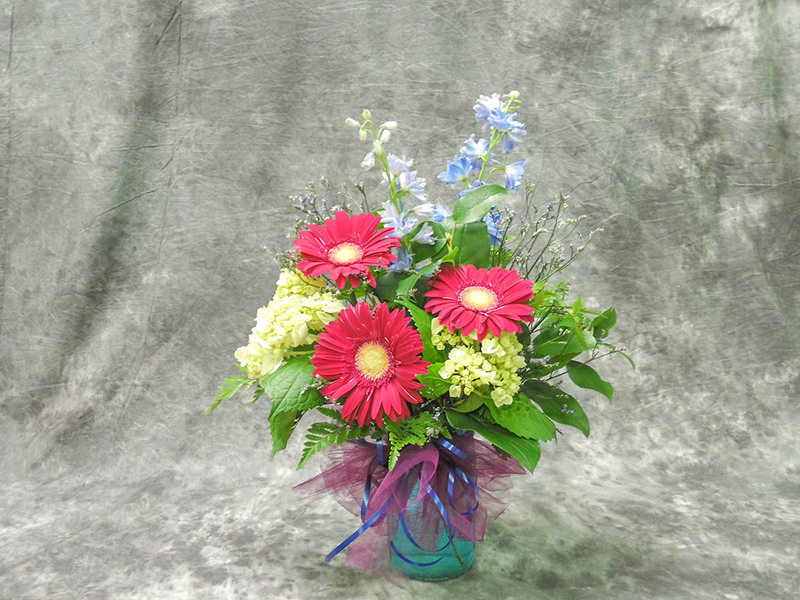 A fresh arrangement customized for you! 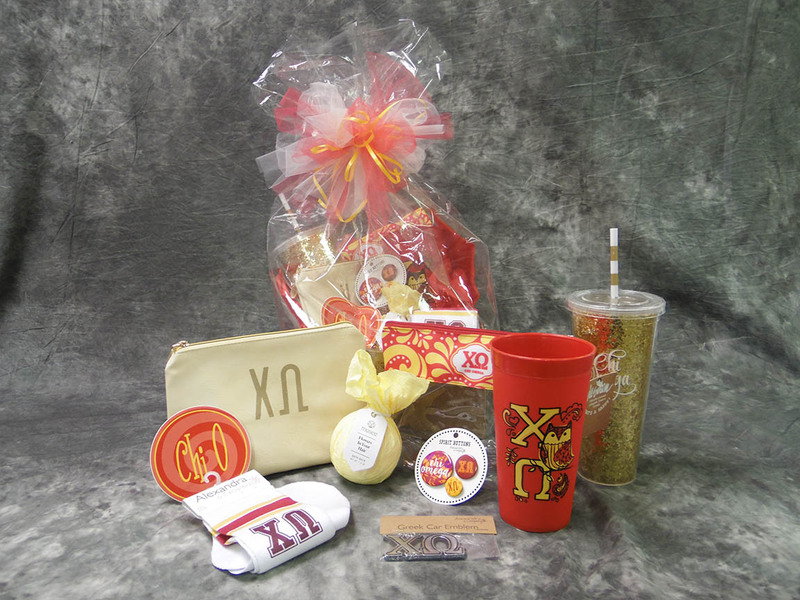 Chi O arrangements feature yellow gerber daisies and red roses. 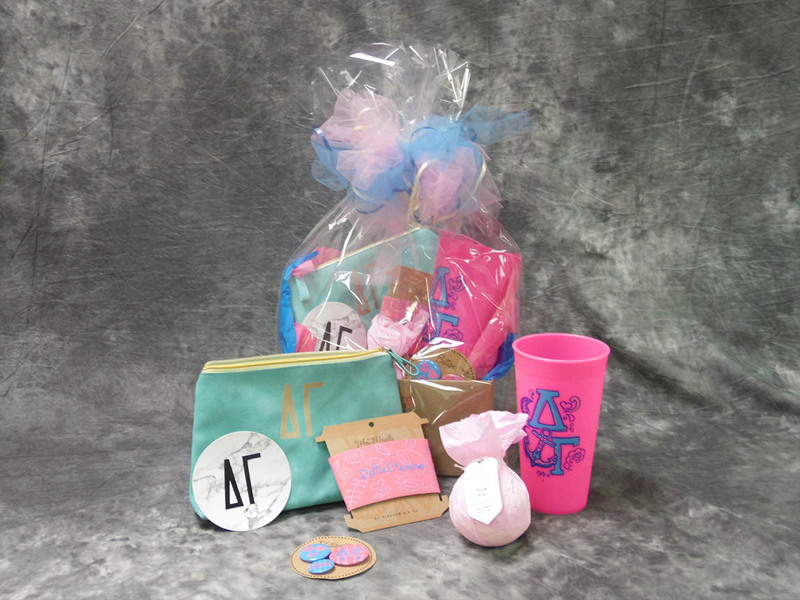 Multiple sizes available (pictured size: $25). 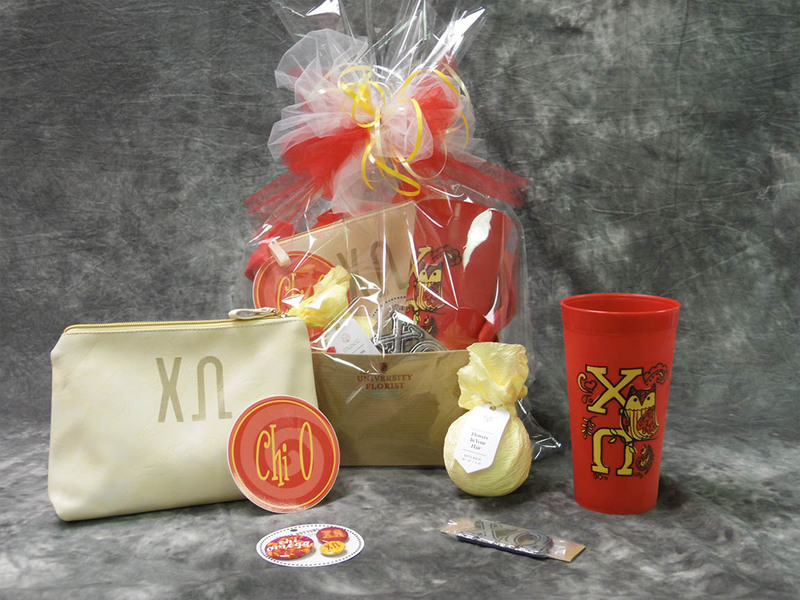 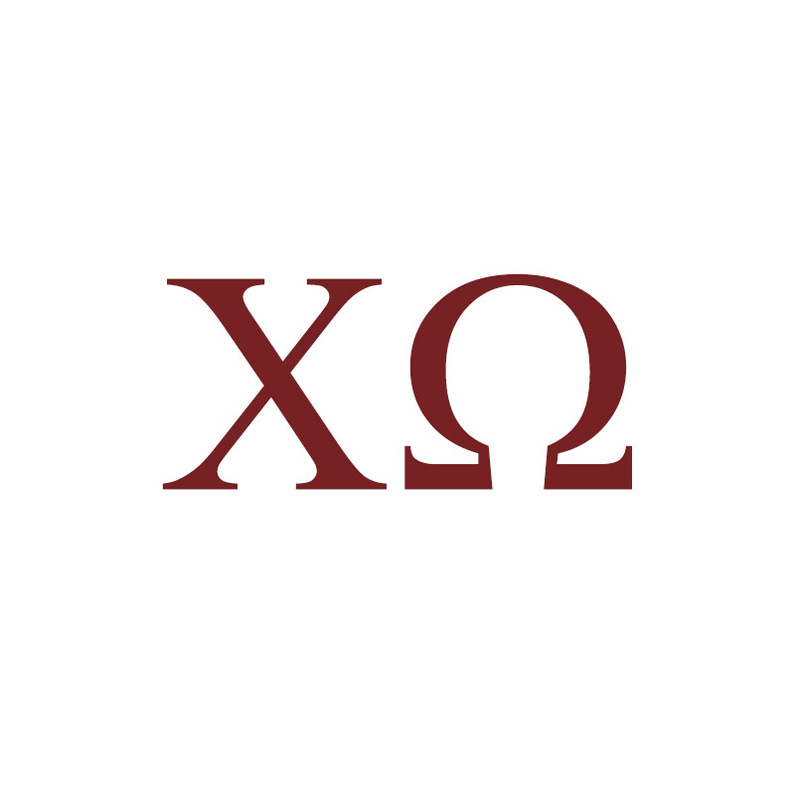 Chi O sorority flower – white carnation – also available! 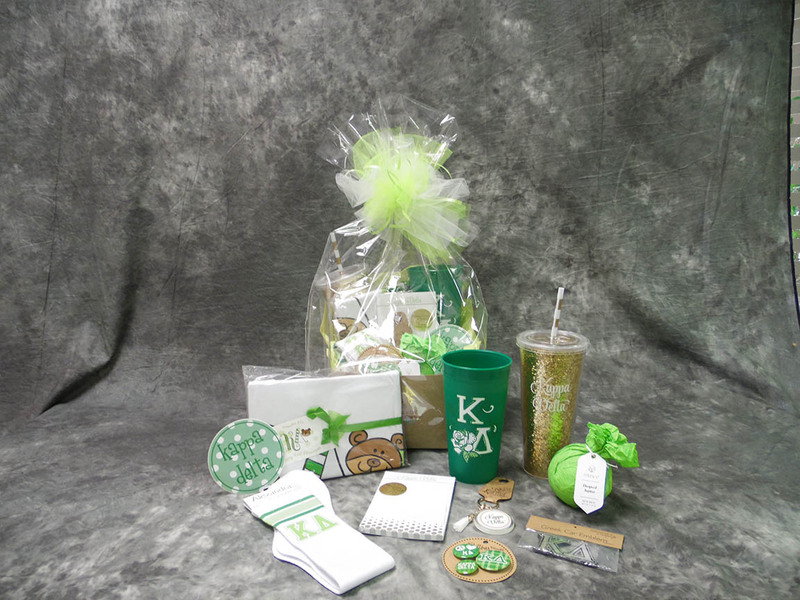 Add a plush teddy bear or bulldog to any arrangement or gift basket! 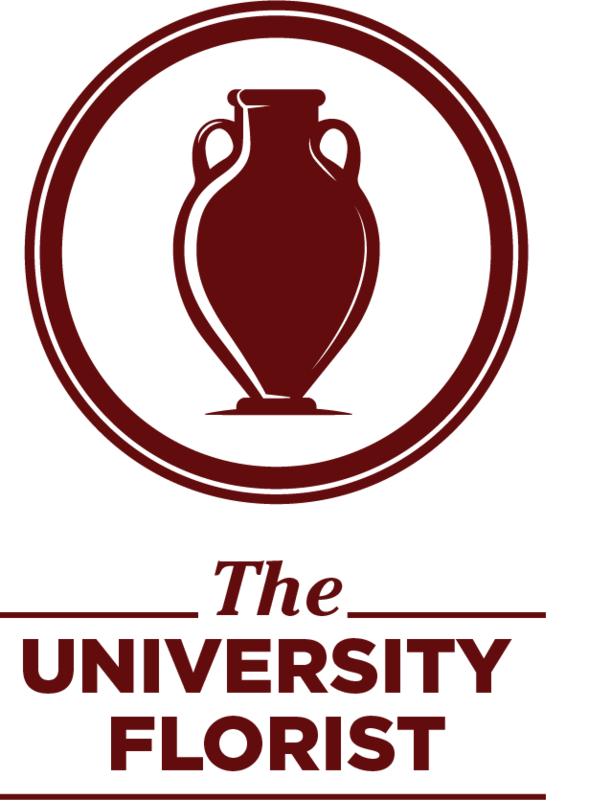 Arrangements can be made in McCarty pottery. 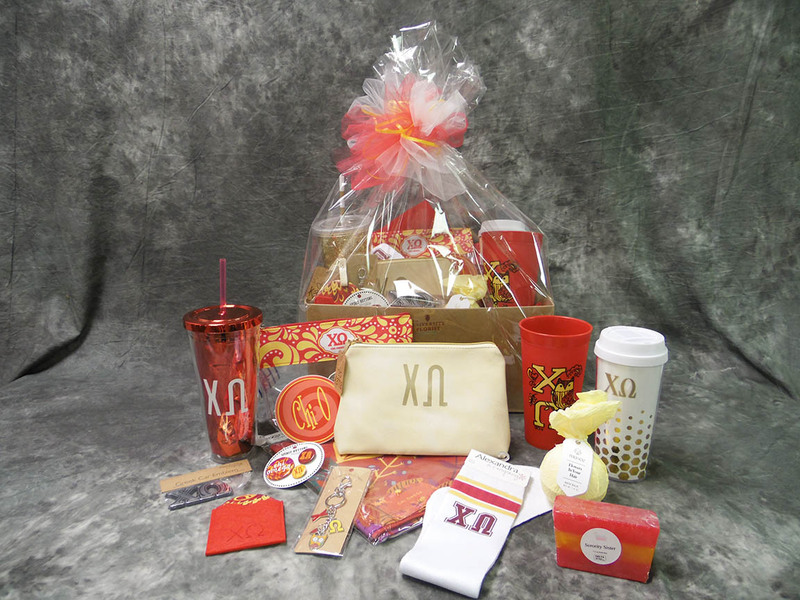 Also available for Chi O - McCarty Owls! 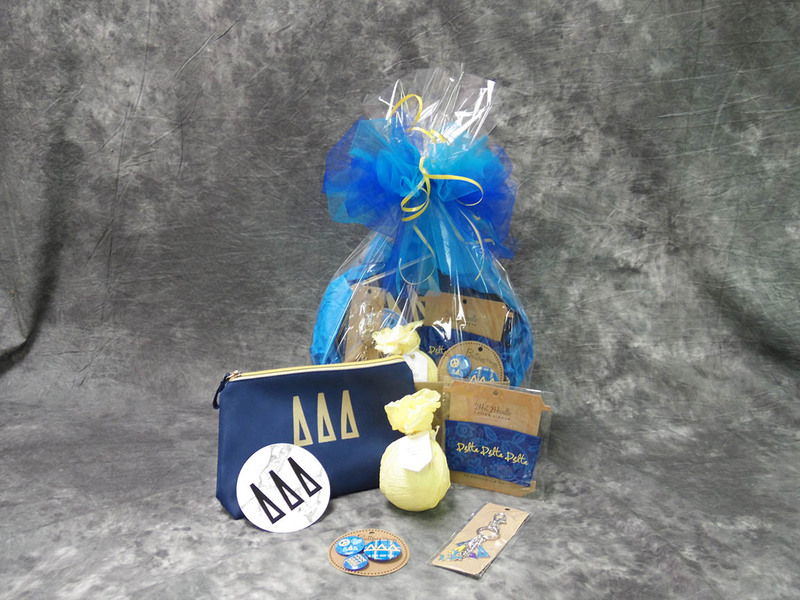 Wolfe Bird Owls! 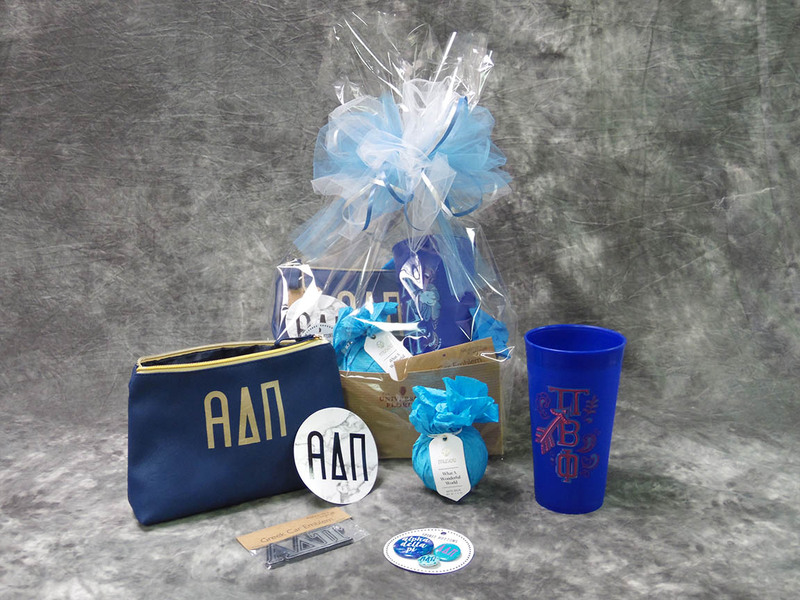 All basket items are available for individual purchase. 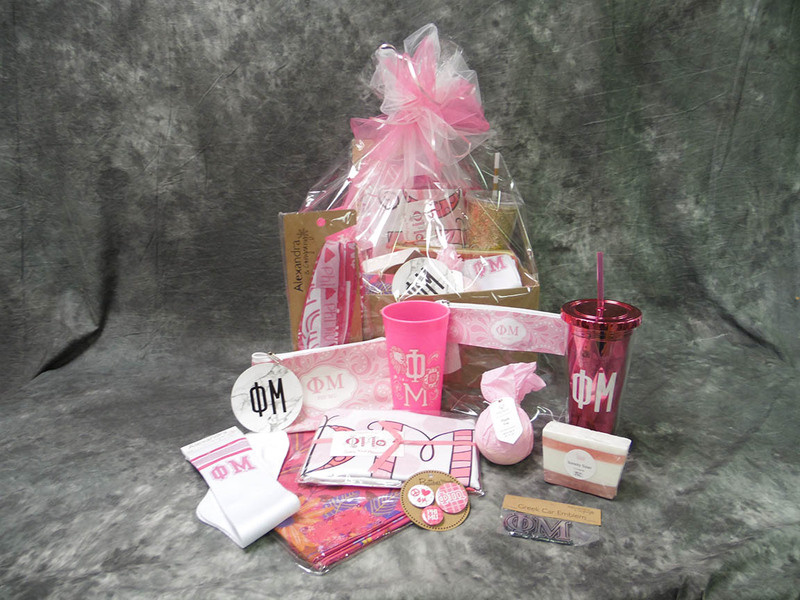 A fresh arrangement customized for you! 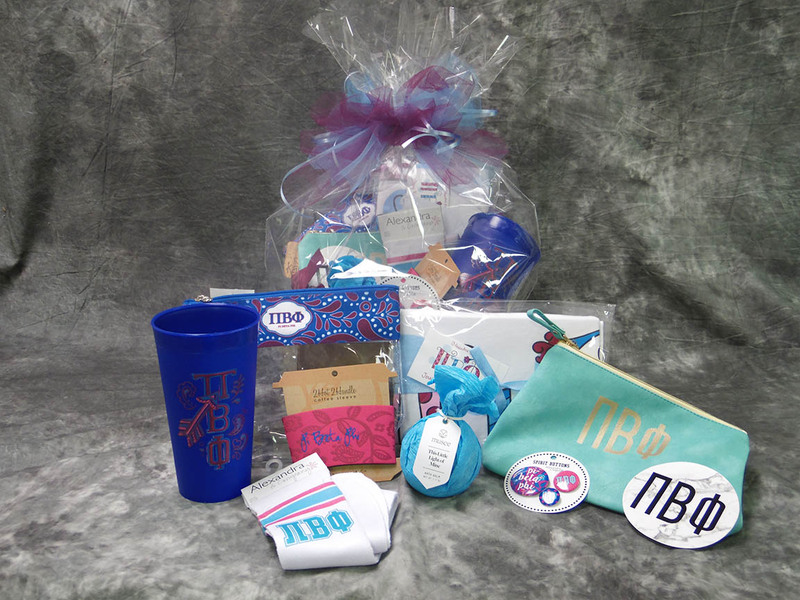 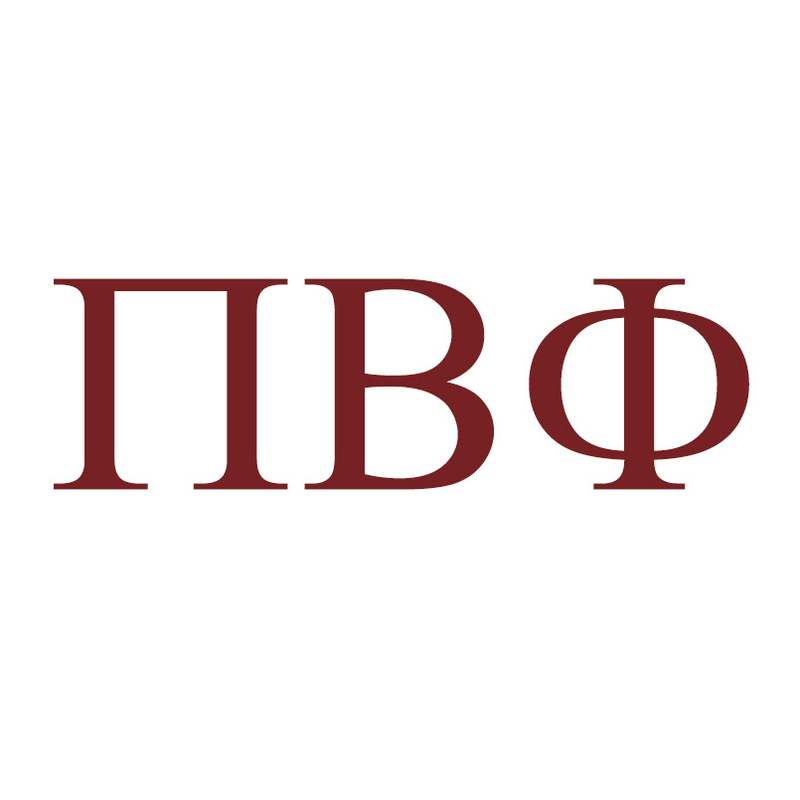 Pi Beta Phi arrangements feature pink gerber daisies and blue delphinium. 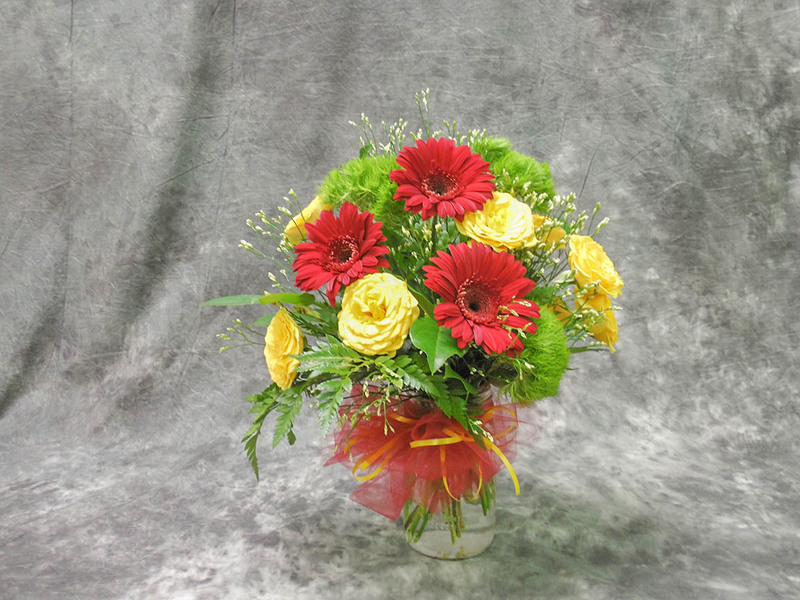 A fresh arrangement customized for you! 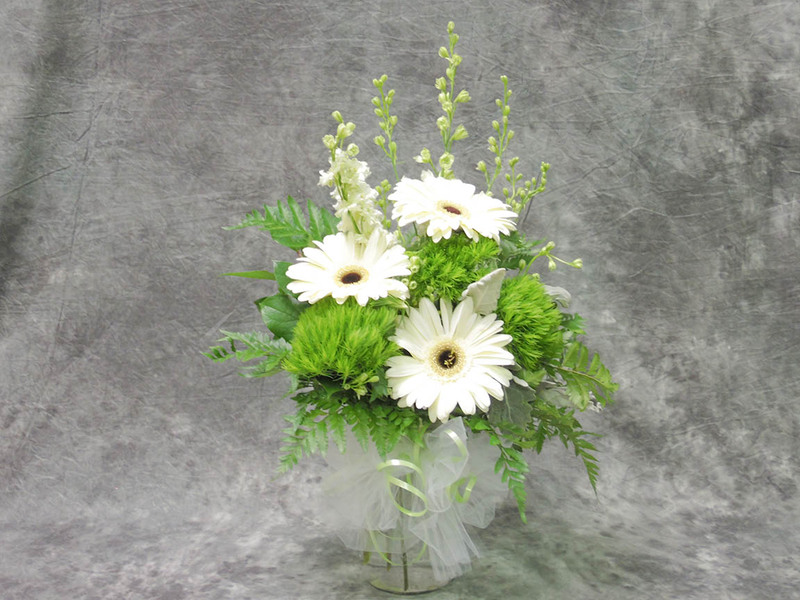 Zeta arrangements feature white gerber daisies and teal tinted larkspur. 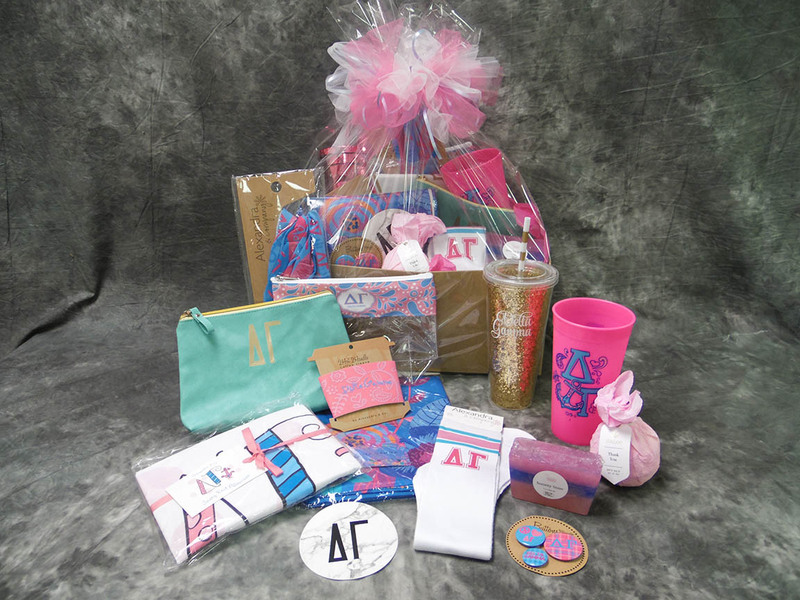 A fresh arrangement customized for you! 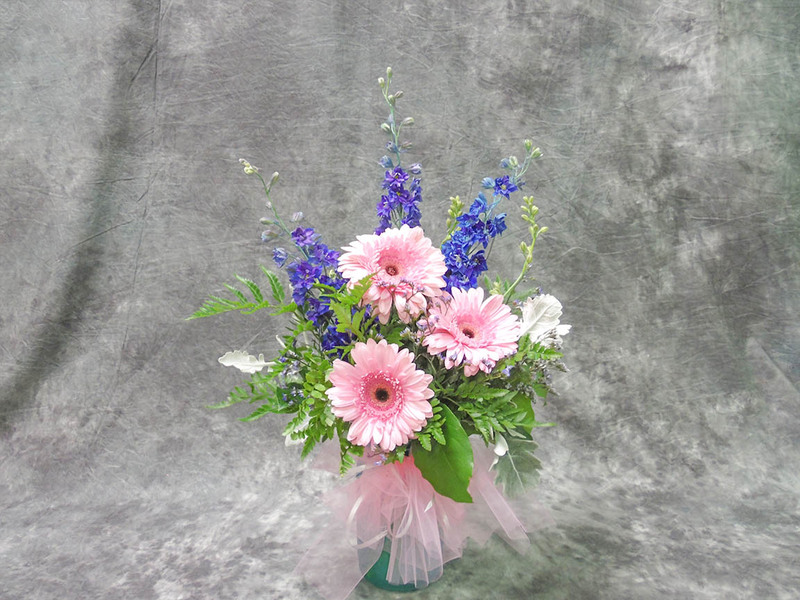 Delta Gamma arrangements feature pink gerber daisies and blue delphinium. 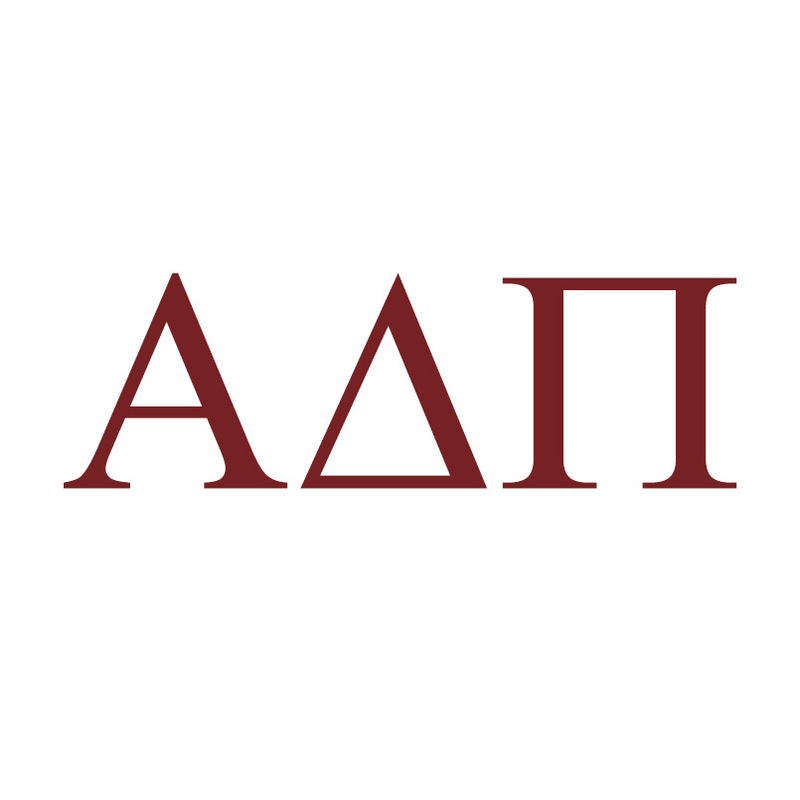 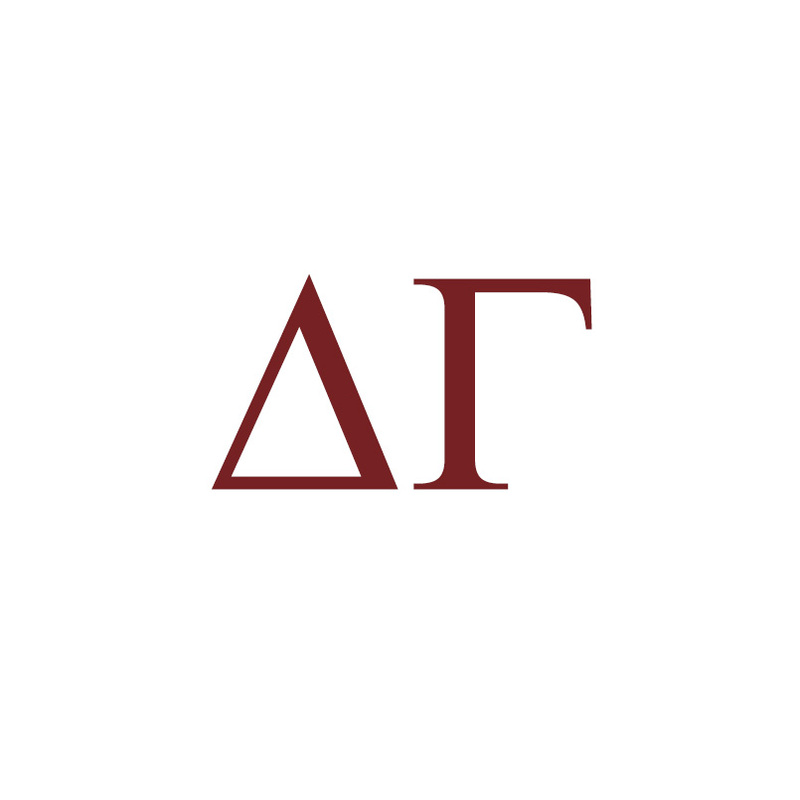 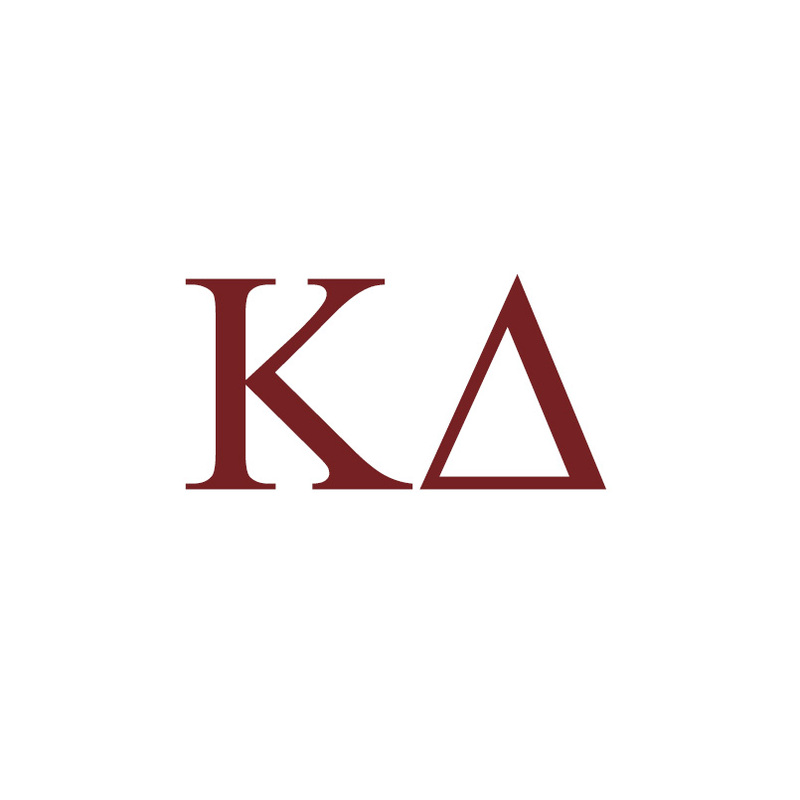 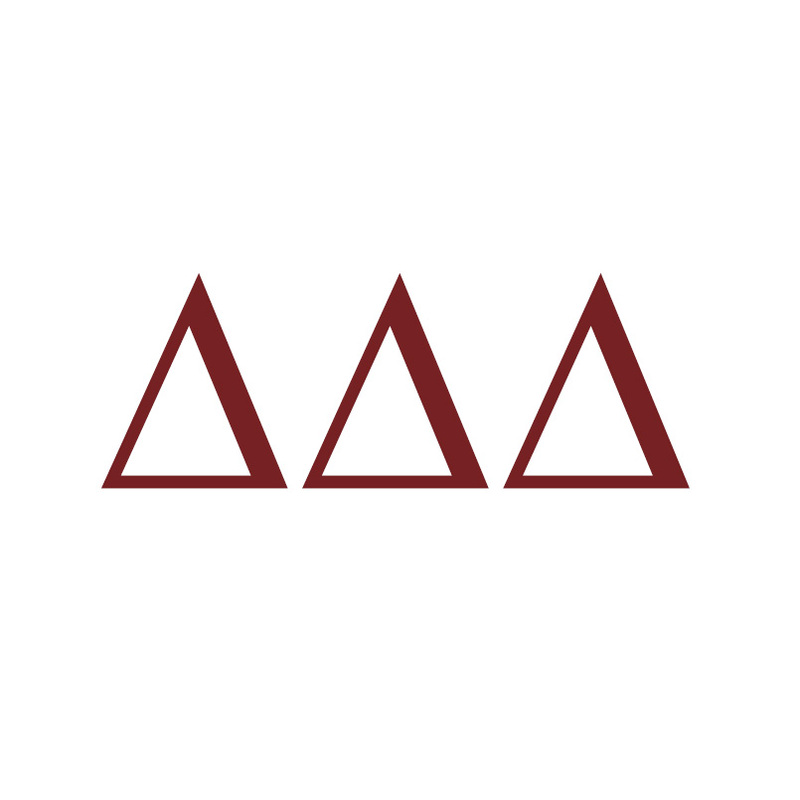 Delta Gamma sorority flower – cream rose – also available! 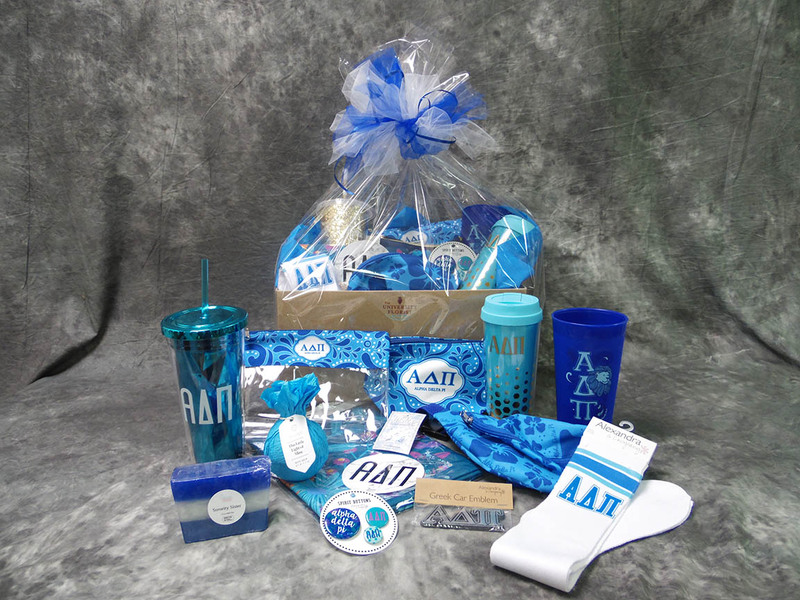 A fresh arrangement customized for you! 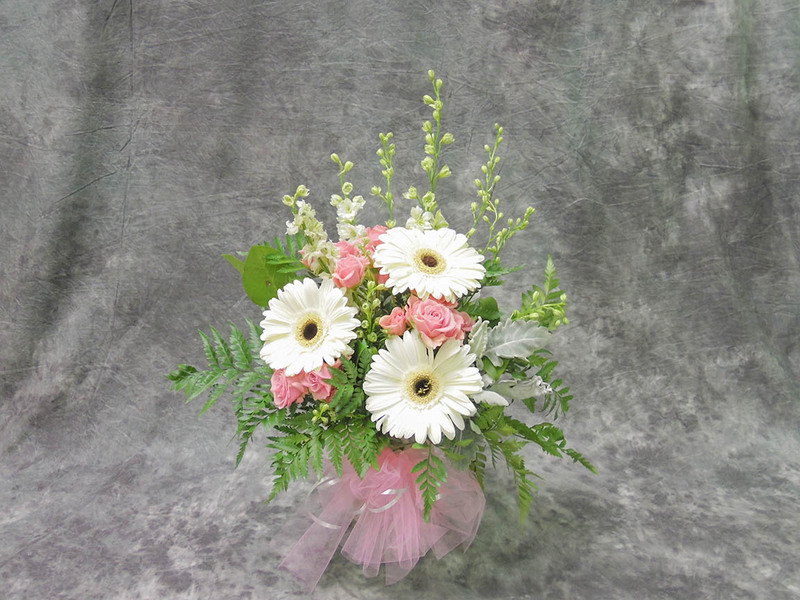 Phi Mu arrangements feature pink gerber daisies and white larkspur. 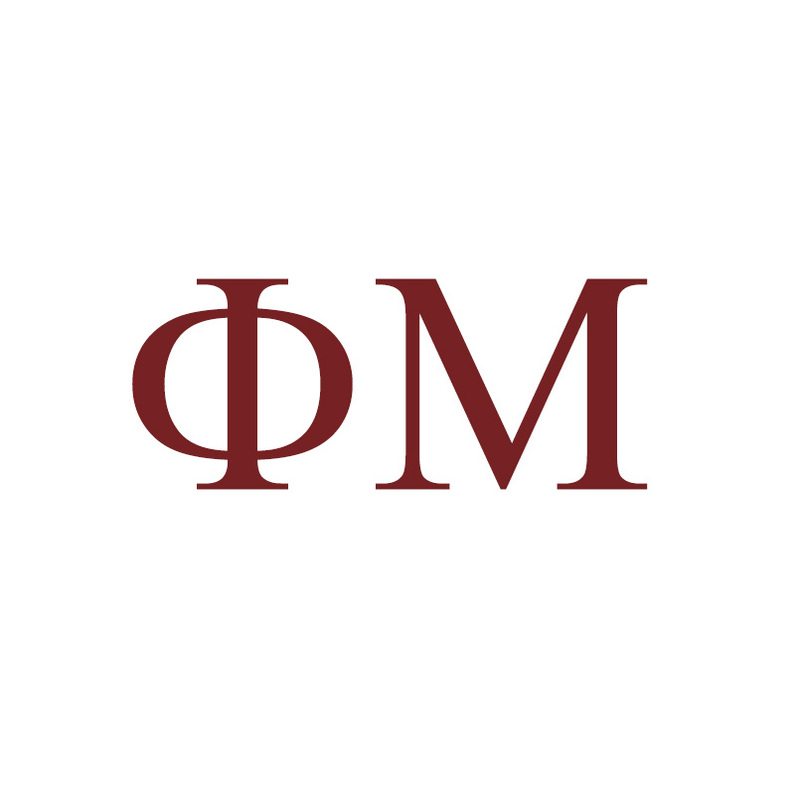 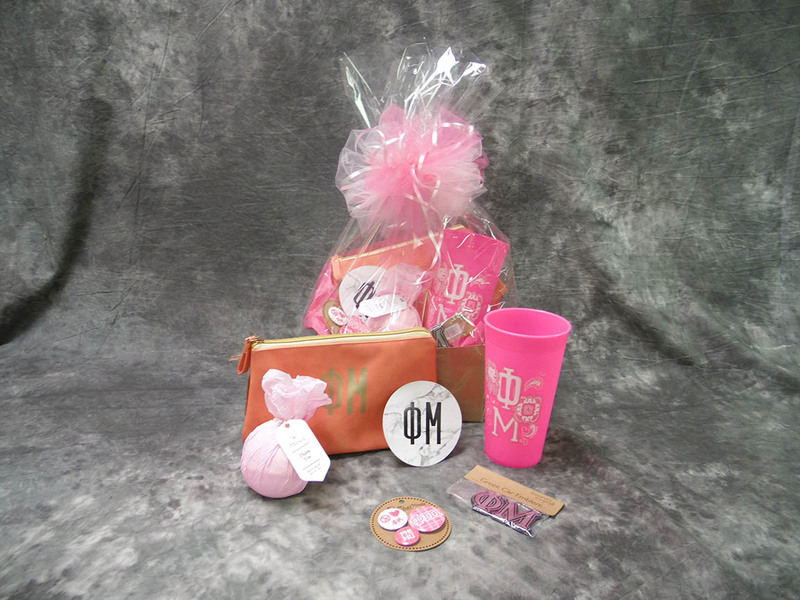 Phi Mu sorority flower – pink carnation – also available! 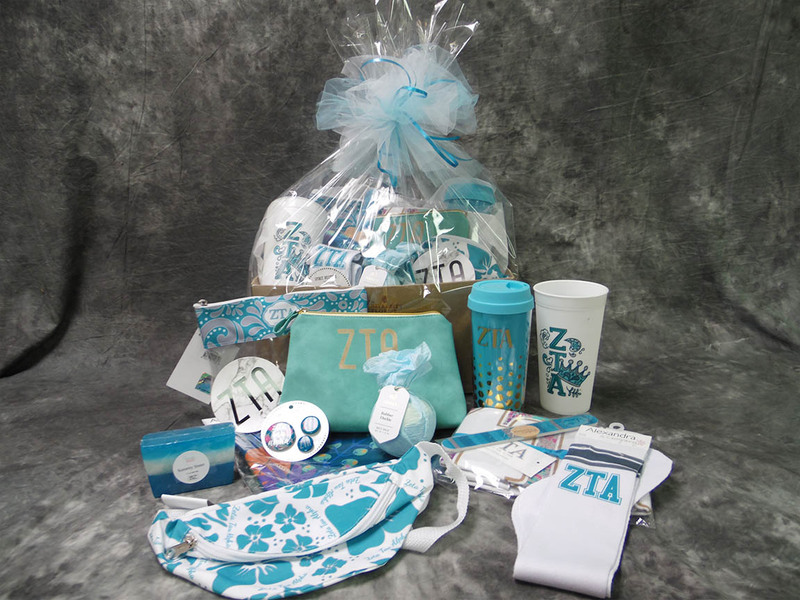 A fresh arrangement customized for you! 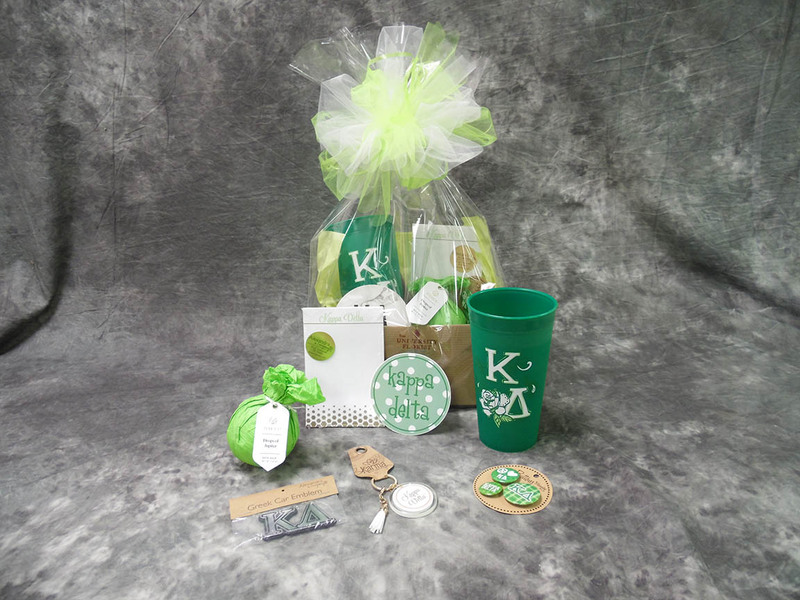 Kappa Delta arrangements feature white gerber daisies and green trick dianthus. 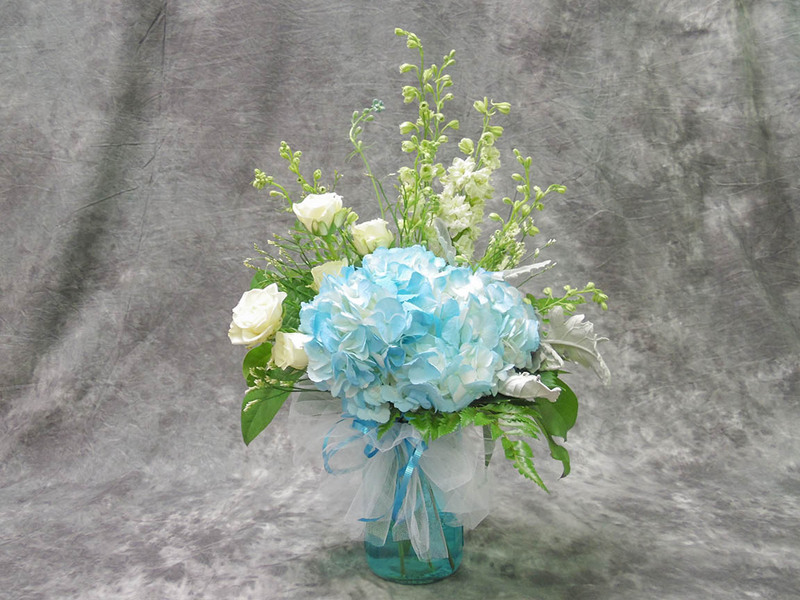 A fresh arrangement customized for you! 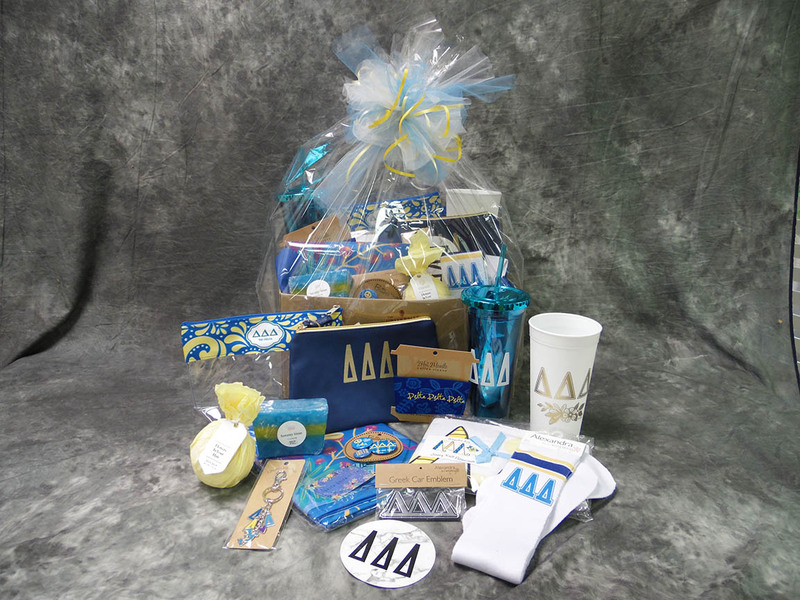 Delta Delta Delta arrangements feature yellow gerber daisies and blue delphinium. 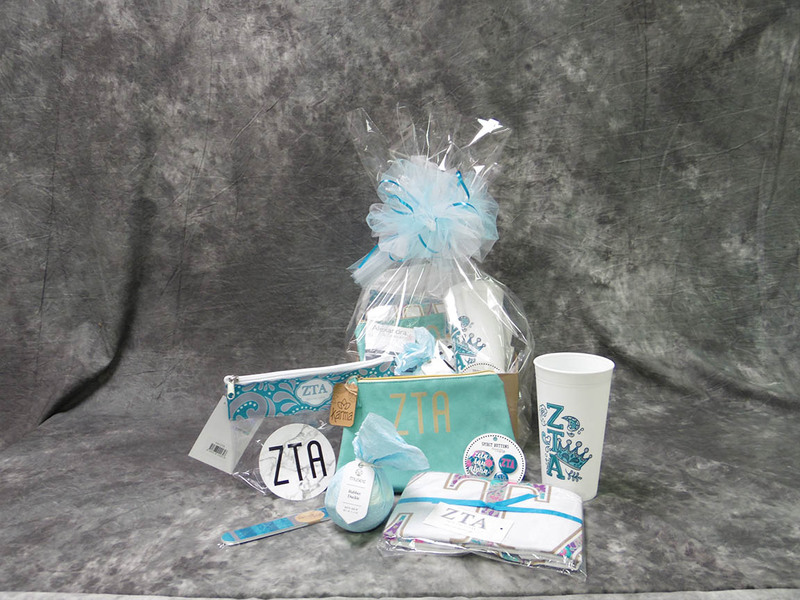 Make sure to congratulate your new recruit with a bid day arrangement or gift basket! 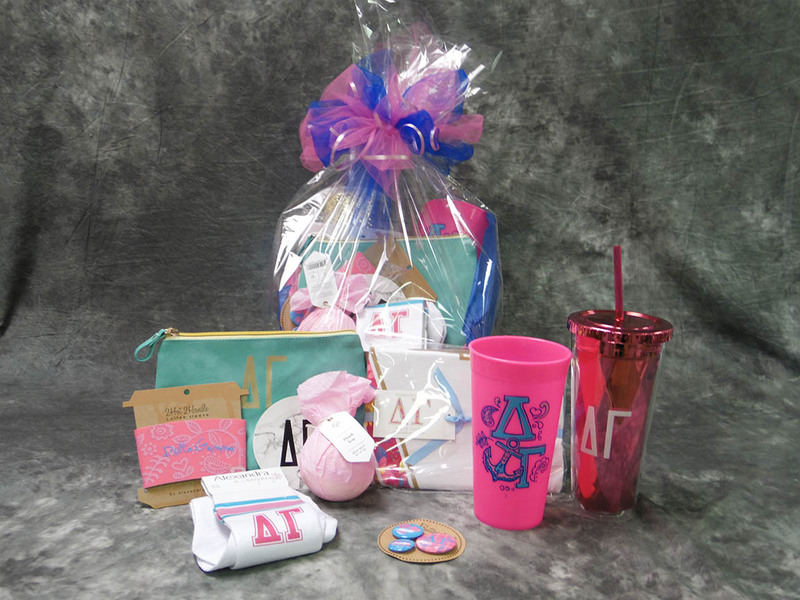 And don’t forget your current pledges, who have been working hard to make Bid Day a success! 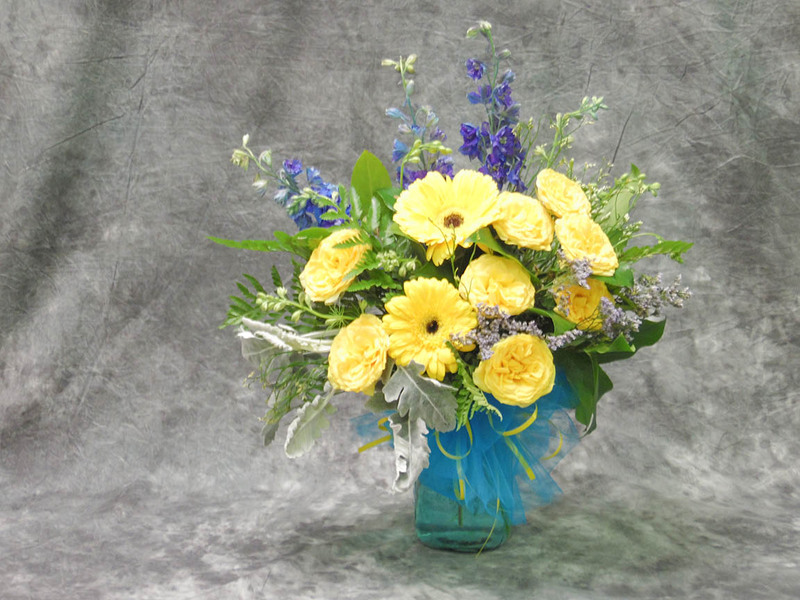 A fresh arrangement customized for you! 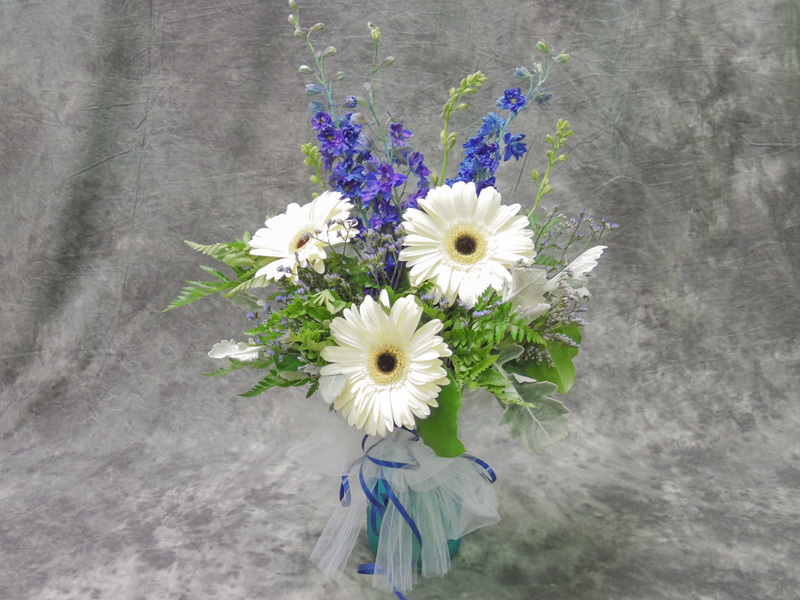 Alpha Delta Pi arrangements feature white gerber daisies and blue delphinium.